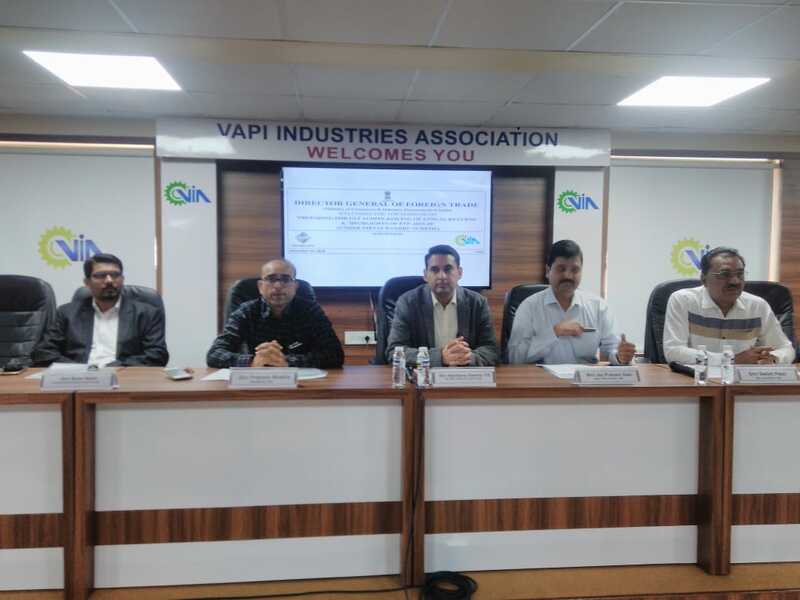 Vapi Industries Association (VIA) and Federation of Indian Export Organizations (FIEO) have jointly organized a seminar on Preparing GST Audit, Filing of Annual Returns & Highlights of FTP on 14th December 2018, Friday to facilitate and create awareness to the Industries Members and the Exporters of the Estate. 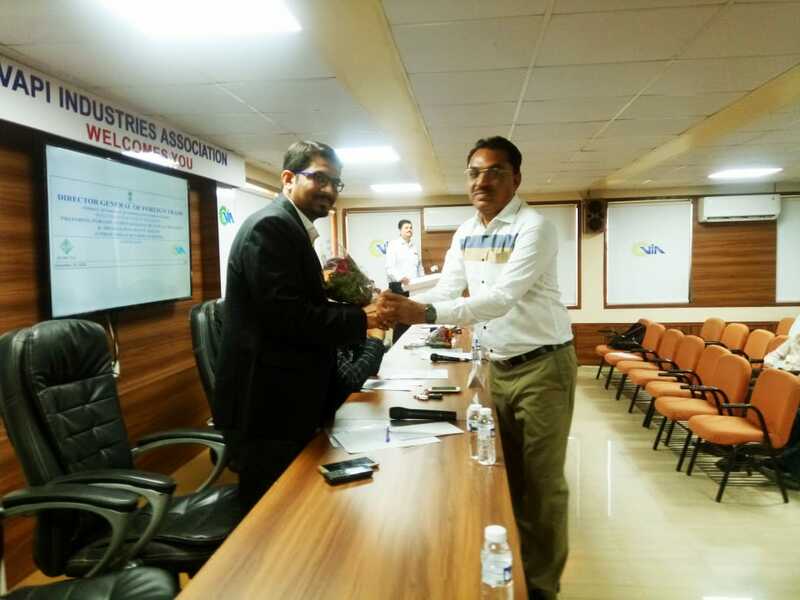 The Seminar was attended by Shri Abhimanyu Sharma ITS, Jt. DGFT, Surat, Shri Nirav Kariya, Chartered Accountant from Mumbai, Shri Jaiprakash Goel, FIEO, Ahmedabad, Shri Prakash Bhadra, President, VIA, Shri Satish Patel, Hon. Secretary, VIA and Executive Committee Members of VIA. Shri Sharma has informed to the present about the various online and digital facilities offer by the Govt. of India to reduce the hardship of the Industries enabling them to comply with the Government Policies and to enhance their business activities. 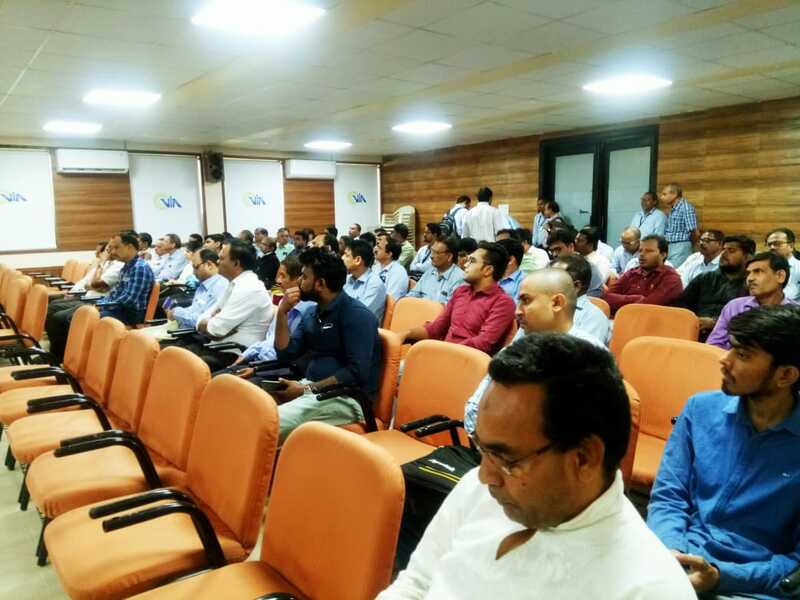 Shri Kariya gave a visual presentation to the participants explaining the details of the GST Audit preparation and Annual Return Filing procedures. 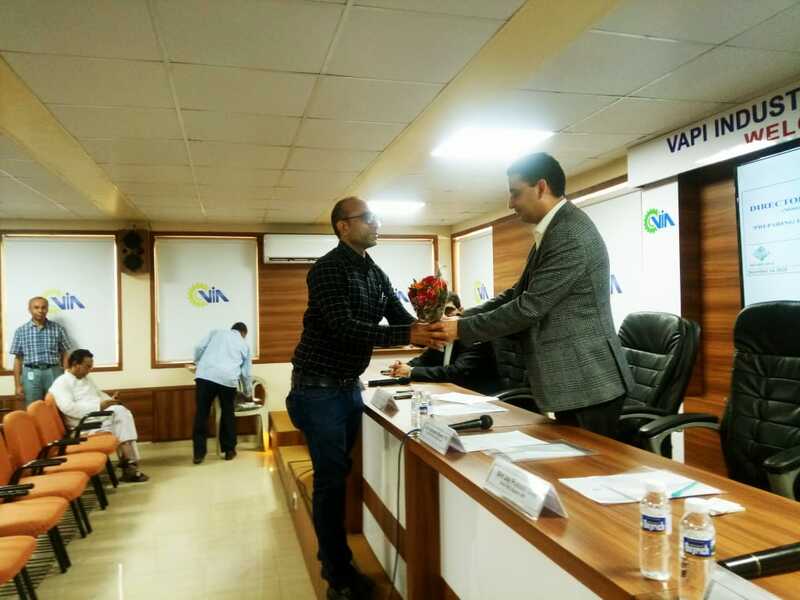 The event was well attended by over 70 Industries Members and Professionals of Vapi GIDC Estate.